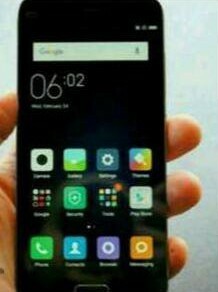 Looks like Xiaomi is preparing a competitor to the newly-launched Apple iPhone SE. A mystery handset allegedly sporting a 4.3-inch screen has been spotted in China, and reports say it is Xiaomi's answer to Apple's latest smartphone offering. Кey specs of the device reportedly include Snapdragon 820 chipset, HD display, 13MP rear camera (sans OIS), and 3GB/32GB memory configuration. Carrying an RMB 1,799 (around $275) price tag, the phone is expected to launch in June. It is also expected to feature a fingerprint sensor. Needless to say, nothing is officially confirmed at the moment. So, take all this for what it is - a rumor. Xiomi, waiting eagerly for this phone. Try to incorporate projector into that. i would love to buy this phone, because this phone is compact in design with high end features, and easy to use in single hand, and easy to carry in pocket it dont feel bulky in pockets.